Offering flexible working arrangements has required careful management for Canberra-based firm AMC Architecture, but has had many positive impacts. Practice Manager and registered architect Hannah-Jean Cadan shares the challenges and rewards of enabling flexible work. Can you tell us a little about how flexibility works at AMC? A number of our staff have families with young children and we’ve found that flexible working arrangements can be mutually beneficial. Flexible work has allowed staff to balance their work and family commitments while maintaining contact with the office, projects and clients. This flexibility has enabled us to continue to meet client expectations, maintain high quality outputs and achieve project milestones. The practice has developed a flexible working policy through consultation with staff and testing a number of different working arrangements. Dependent upon staff and project requirements, we can accommodate part-time, remote work and split-shift work arrangements. These are regularly reviewed on a case-by-case basis. Has flexible work changed how staff are managed? Experience has shown that successful flexible arrangements are reliant upon continuous, transparent communication between staff and management, including formalising clear expectations for working hours, availability and performance. It’s also important to keep the wider office informed of any changes. Careful management and delegation of tasks by project leaders and directors becomes even more crucial in a flexible work context. What infrastructure and systems have you needed to put in place to make this possible? We’ve found that it’s essential to have a robust and reliable IT system that can accommodate remote working, enabling staff to access emails on smartphones, log in remotely to the office network from home PCs or laptops, and submit timesheet entries electronically. We recently rolled out new practice management software, which has enabled us to implement a more effective system for managing project resources, tracking and reporting on projects in real-time. Though there were inevitable issues that needed to be tackled during this transition (particularly in the migration of existing data into the new system, integration with existing accounting systems, refinement of templates, and training up staff to use the system effectively), ultimately the new practice management system has been a worthwhile investment and we definitely recommend other practices consider making the move. Have flexible work arrangements improved staff retention, helping to retain skills within the firm? Has this had an effect on productivity/profit? We have noticed a recent shift in the profile of our team compared to previous years, with an increased mix of part-time, full-time, contract and casual staff employed by the firm. We believe that one of the primary reasons employees choose to remain with us long term is our culture of open communication and transparency that is conducive to, and supportive of, flexible working arrangements. Retaining long-term staff in turn has a positive effect on overall team cohesion, productivity and profit as we develop the existing skills and knowledge of our team. Have you found that the option for staff to work flexibly has been an advantage when recruiting? Given the increasingly competitive market for high quality candidates, offering flexible working arrangements enables us to keep pace with and possibly differentiate ourselves from our competitors. As we have only recently formalised these arrangements, we may be in a better position in the coming months to confirm the impact of more flexible working arrangements. How has having the option to work flexibly affected office culture and morale? I believe our ability to offer flexible working arrangements has had a positive impact on the culture and morale of the office. Our office has always been a welcoming environment for staff and their families. However, offering flexible work practices has helped to improve communication between all levels of the firm, encouraging transparency and an appreciation for the lives of our staff outside the office, so we are more inclusive and family-friendly overall. In saying this, there can be challenges in accommodating part-time staff. Careful, considered management is important to achieve project outcomes while maintaining flexible working arrangements. Hannah-Jean Cadan is a Practice Manager and registered architect with AMC Architecture and is currently working part-time after returning from maternity leave in 2017. 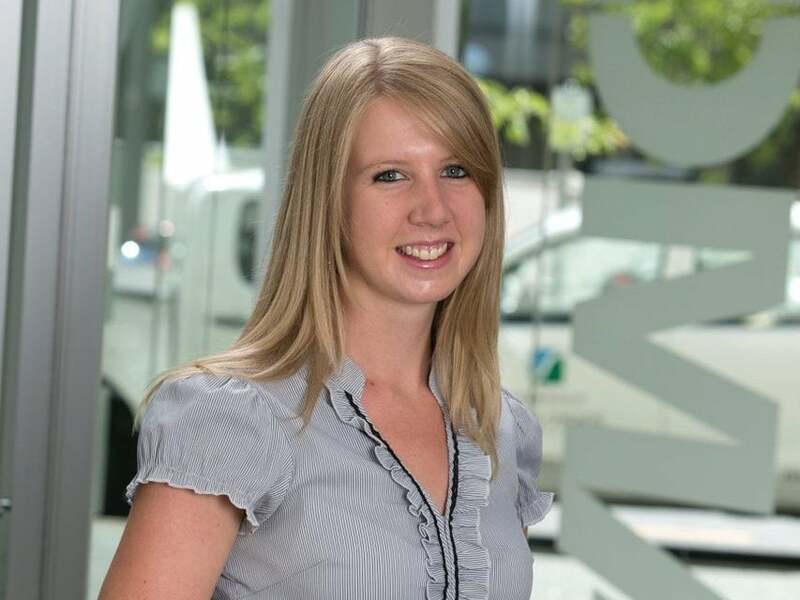 Through her experience working in various capacities within the design and construction industry, completing a Master of Business Administration and starting a family, Hannah-Jean has developed an understanding of, and appreciation for, the challenges and opportunities in enabling flexible work practices. The fourth Parlour Guide to Equitable Practice covers Flexibility, outlining the benefits for employer, employee and the profession as a whole. Previous postSydney Winter Salon Next postWomen, technology and revolution in architecture!